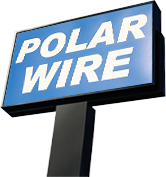 Arctic Ultraflex Blue® is the premier Arctic grade wire rated and proven to work in extreme temperature ranges of -55°C to 105°C. 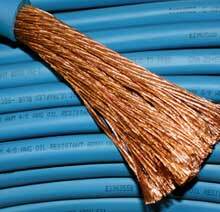 This highly flexible wire combines finely stranded copper construction with a jacket material that resists the abuses of oil, gasoline, sunlight, salt water, acids, and chemicals. Arctic Ultraflex Blue® has high abrasion resistance and can be used in most 600 volt applications. UL listed as AWM (Appliance Wiring Material). Arctic Ultraflex Blue® is available in a multitude of primary colors, gauges, and configurations. Custom colors and striping are available on request (minimums may apply). Arctic Ultraflex Blue® has numerous applications, including those approved under NEC article 400 and associated articles. Find Arctic Ultraflex Blue® in our online store!